Two locations to better serve your needs. PORTAGE – William “Bill” Keith Swift was born May 14, 1931, at Dixon, IL, and passed away peacefully in his favorite chair on February 5, 2019, at his home in Portage. He spent his first few years at St. Michael’s Orphanage in LaCrosse, WI. At age 8, he was chosen by the family of Carl and Hildegard Hing, rural Muscoda, WI, to come live with them. Bill was raised with love as their son along with their daughter, Mary Alice. He graduated from Muscoda High School in 1950. At the age of 21, he left the farm to seek employment in Madison. Soon he found himself setting up displays in the windows of Harry S. Manchester’s Department Store, moving up the ladder to Assistant Manager of the East side store. In 1955, he married Joan Williamson. For the first 12 years of their marriage, they lived in Madison where their 4 children were born. In 1967, the family moved to Portage where Bill answered the call for manager of Atkinson’s Department Store. Most of his working days were spent in retail sales. His final job before retirement, and one he enjoyed thoroughly, was as groundskeeper at the Divine Savior Hospital and Nursing Home on West Pleasant Street. Another job he enjoyed immensely was a school bus driver. One snowy day in December, school was let out early due to poor winter road conditions. The bus he was driving slid into the ditch up in the Caledonia Hills. While waiting for help to arrive, Bill led the children in singing Christmas carols. Bill also enjoyed the time he spent as a driver for the Columbia County Meal Site, delivering meals and transporting seniors to the site. Music was always a big part of Bill’s life. He played piano, guitar and accordion. He also enjoyed dancing to a good polka, waltz or jitterbug and singing many of his favorite hymns and tunes to his children, friends, grand and great-grandchildren. He loved golf, and a highly-spirited game of cards. Many of the younger Portage residents knew him as “Coach”. For a number of years, Bill coached little league and American Legion baseball as well as high school boys’ curling teams, in which he led multiple state championships. After retirement, for approximately 19 years, Bill and Joan enjoyed going to Mesa, AZ, for the winter months. This is where Bill discovered he had a talent for painting. They enjoyed traveling together, especially the State and National Parks, Alaska, Hawaii and even Europe. 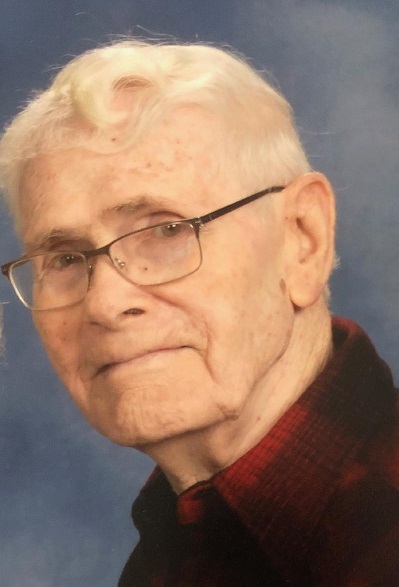 Bill was a member of the Bethlehem Lutheran Church since moving to Portage where he served as an usher, when all the ladies at church could be assured a “good morning hug” from Bill. He also served in the choir. He was blessed to have shared his life with his surviving family: his wife of 63 years, Joan; his four children, David of Portage, Deb Erickson (Thomas Sr.) of Lyndon Station, Dan (Laura) of Sparta and Darci (Tim) Pfeil of Lodi; eleven grandchildren, Tom Jr., Lindsay, Kelsey, Jordan, Bekah, Josiah, Michaela, Moriah, Jamin, Lauren and Noah; five great-grandchildren, Grace, Emma, Abigail, Olivia and Thomas James III; brothers-in-law, Mike and Jim (Marilyn) Williamson; many very special nieces and nephews, and lots of lifelong dear friends. He was preceded in death by his sister, Mary Alice Bohn; as well as numerous brothers-in-law and sisters-in-law. Memorial services will be held at Portage United Methodist Church, 1804 New Pinery Road, Portage, Wisconsin, on Saturday, February 9, 2019, at 11:00 a.m., with Rev. Tom Countryman officiating. Visitation will be at the church from 9:00 a.m. until the time of service. Inurnment will be private at a later date. The family would like to thank the staff at Agrace HospiceCare for their care and support. In lieu of flowers, memorials may be made to Special Olympics or the charity of your choice in Bill’s honor. 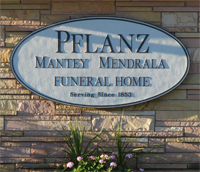 Pflanz Mantey Mendrala Funeral Home in Portage is assisting the family.